IECEP JAPAN MARKS 1 FOUNDING ANNIVERSARY PLEDGE OF LEADERSHIP. The founding officers of IECEP Japan took their oath of office to serve the organization. They were confirmed by the Philippine Embassy in Japan Deputy Chief of Mission, Mr. Eduardo M.R. MeĂąez. About this Newsletter This newsletter is an initiative of IECEP Japan Foreign Chapter to bring the members of the whole IECEP community, locally or internationally, closer to our organization. It is a first of its kind among the key activities or projects of various IECEP chapters. In a board meeting agreement recently approved by the current board of directors, this quarterly newsletter was created; although this one serves as a special issue to highlight the first founding anniversary of IECEP Japan. 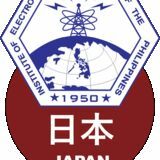 IECEP Japan is the 42nd accredited chapter of the Institute of Electronics Engineers of the Philippines (IECEP) founded on April 8, 2018 and accredited as a foreign chapter on April 24 of the same year. 2018-2019 highlights Embassy recognition as RFCO IECEP Japan was included in the roster of Registered Filipino Community Organizations (RFCOs) making the group the first and only accredited professional organization of Filipino engineers by the Philippine Embassy in Tokyo. 2018 General Assembly in Japan With the persistence of the founding members, headed by Engr. Ferdie N. Toledo as the governor, the very first General Assembly was held along with the oath-taking of members and officers. IECEP JAPAN MARKS FIRST FOUNDING ANNIVERSARY After the challenging years of registration, accreditation, and application to conduct significant activities, IECEP Japan recently marked its one-year founding anniversary on April 8. Established to promote, encourage and foster cooperation, unity, and friendly relation among Filipino Professional Electronics Engineers (PECEs), Electronics Engineers (ECEs), Electronics Technicians (ECTs), and other related professionals in Japan and the Philippines, IECEP Japan spared no effort to fulfill its commitment to implement comprehensive welfare and professional advancement programs for PECEs, ECEs, and ECTs. IECEP Japan conducted its first general assembly in August 2018 along with the oath-taking of members and the so-called ad-interim officers (founding members). MEMOIRS OF ESTABLISHMENT Through the leadership and initiative of Engr. Romeo M. Rosas II, the founding officers of IECEP – Japan Chapter convened on April 8 in order to discuss the important matters regarding the establishment of another foreign chapter of Filipino Electronics Engineers and Technicians. It was Engr. Rosas who actively gathered these Filipino ECEs thru an online registration method, via google form, and aspired to bring IECEP – Japan to the Philippine Embassy accreditation as a Registered Filipino Community Organization (RFCO). He drafted the constitution and by-laws in conformance with the existing regulations of IECEP National and other foreign chapters, which was further modified by the founding members. Then on April 24, IECEP Japan was granted Accreditation No. 46 by IECEP National Office. New set of officers, confirmed Along with the first-year establishment of IECEP Japan, new set of officers were duly elected to govern the organization. COMELEC officer-in-charge, Engr. Romeo Rosas II, recently verified the election of the new board of directors (BODs) for F.Y. 2019 in an endorsement letter submitted by the Immediate Past Governor, Engr. Ferdie N. Toledo to IECEP national office. The elected officers were: Engr. Raynell A. Inojosa, governor; Engr. Arturo B. Doble and Engr. Glenn A. Rosas, vice-governors; Engr. Mellany D. Marasigan, secretary; Engr. Nico L. Exaltado, treasurer; and Engr. Julianito D. De La Tonga, auditor. CALL OF DUTY. The founding members of IECEP Japan met the Consul General and Deputy Chief of the Philippine Embassy in Japan represented by H.E. Ambassador Jose C. Laurel, V and Mr. Eduardo M.R. Meñez, held May 2, 2018. The director seats were filled by Engr. Rhea Ann I. Madrigal, Engr. Erwin Jan L. San Pedro, Engr. Gabriel A. Dela Cruz, Engr. Audimar C. Paras, and the immediate past governor, Engr. Ferdie N. Toledo. Socio-civic project allows local ECEs, ECTs to get FREE CPDs A socio-civic activity was conducted to offer FREE continuing professional development (CPD) units to eligible participants in the Philippines. Dubbed as IECEP Japan Lingkod-Bayan Technical Seminar and Workshop, the event highlighted two major topics on Career Opportunities in Japan and Innovative Antenna Technologies and Design Techniques for Wireless Communications. The seminars were held in a series of lectures in Cavite, Laguna, Batangas, and Quezon given by Engr. Raynell A. Inojosa, the proponent of the socio-civic activity. ACT OF VOLUNTEERISM. Eligible ECEs and ECTs were given a chance to earn FREE CPD points to encourage renewal of licenses in a socio-civic event offered by IECEP Japan. Be one of us! Join IECEP Japan! Be part of the growing community of Filipino Electronics Engineers and Technicians in Japan! Become a member and have a chance to attend CPD accredited seminars and workshops, technical field trips, social activities, and more for FREE! Please be guided that you need to register as an IECEP Japan member for 5,000 JPY (3 years’ membership). For inquiries, please contact iecep.japan.org@gmail.com. To be able eligible for FREE registration fee, the participant must have an expired license; otherwise, pay a standard fee of Php 500.00. This is to encourage renewal of expired licenses among the ECE and ECT professionals in the country. OFWs, new professionals temporarily exempted from CPD Act Overseas Filipino workers (OFW) and newly licensed professionals are now temporarily exempted from complying with the provisions of Republic Act (RA) No. 10912 or the Continuing Professional Development (CPD) Act. As per Resolution No. 2019-1146 dated February 7, released by the Professional Regulation Commission (PRC), the enforcement of RA 10912 had been relaxed for a certain transition period. The issuance also mandated the Continuing Professional Development (CPD) Councils to reduce the required CPD credit units in their respective professions “to a minimum, which shall not be more than 15, as provided for under applicable laws.” In 2018, CPD units for PECE, ECE, and ECT is 27.